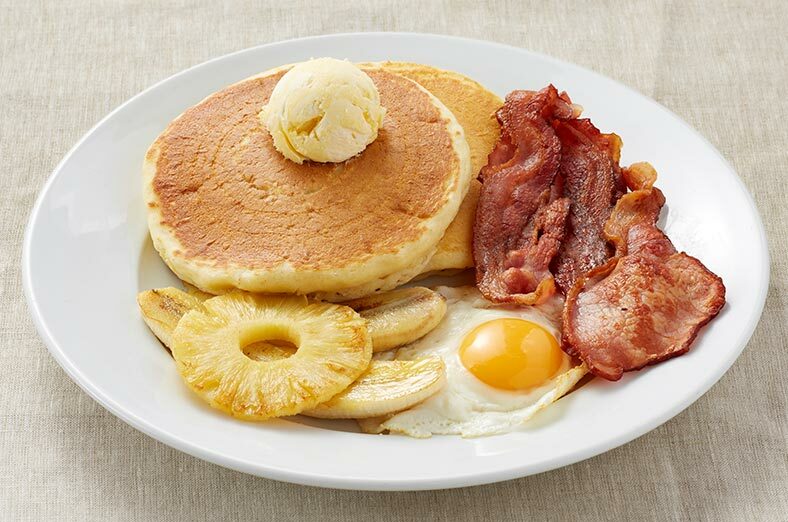 Two buttermilk pancakes with whipped butter, bacon, an egg and grilled banana and pineapple. 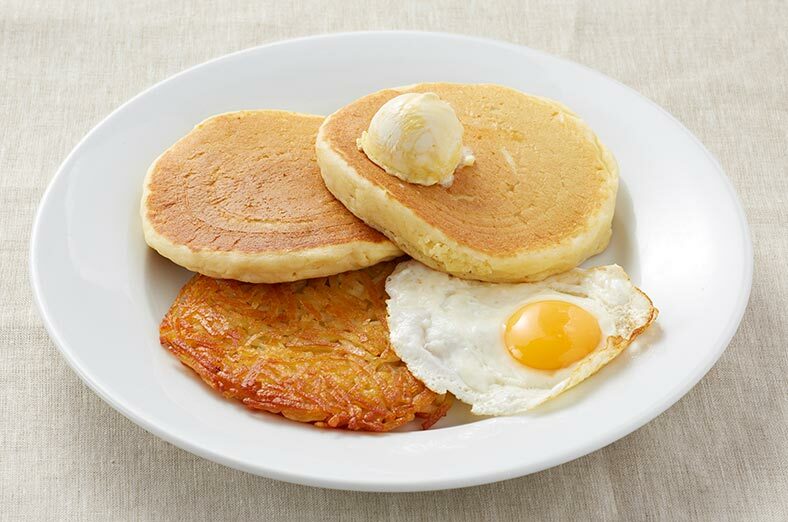 Two buttermilk pancakes with whipped butter, hash brown and an egg. 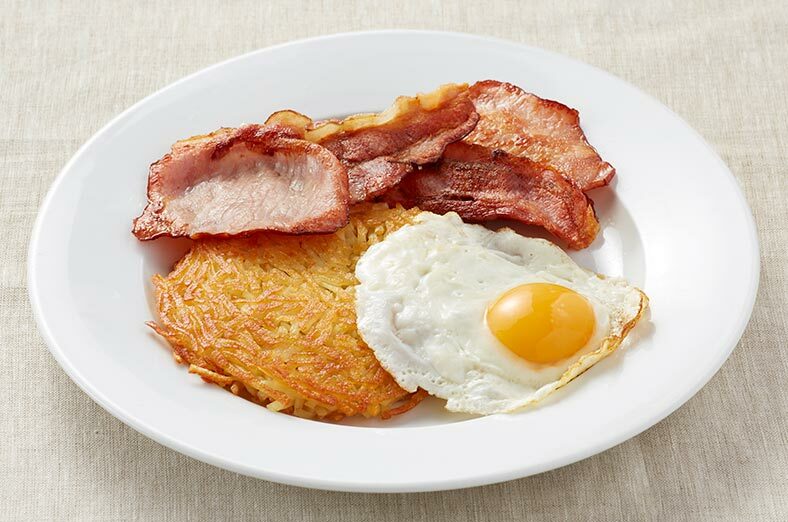 Hash brown with bacon and an egg. 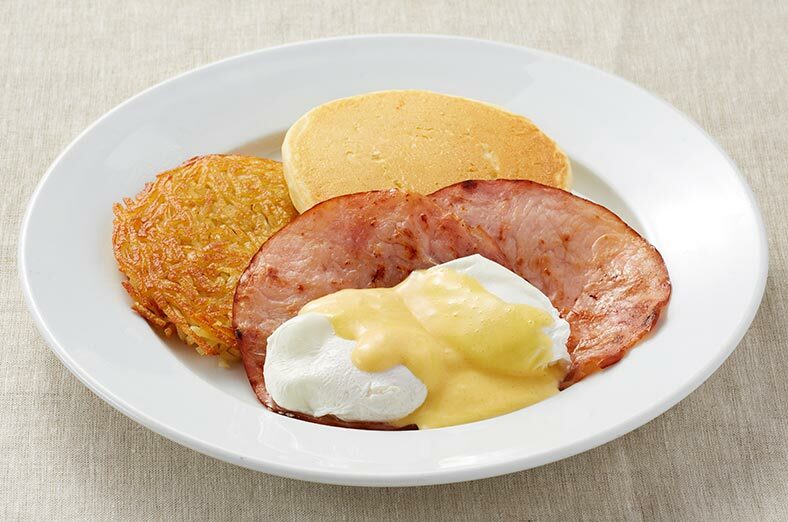 One buttermilk pancake with two poached eggs, hash brown, ham and hollandaise sauce. 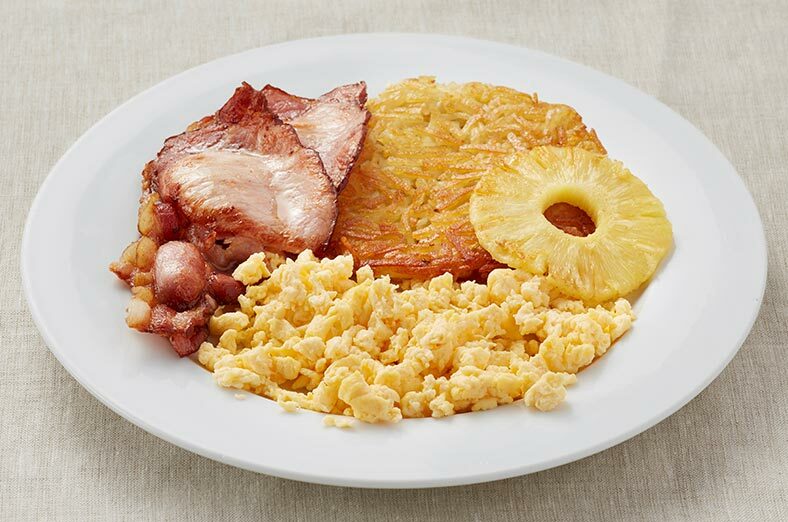 Hash brown with scrambled eggs, bacon and grilled pineapple. 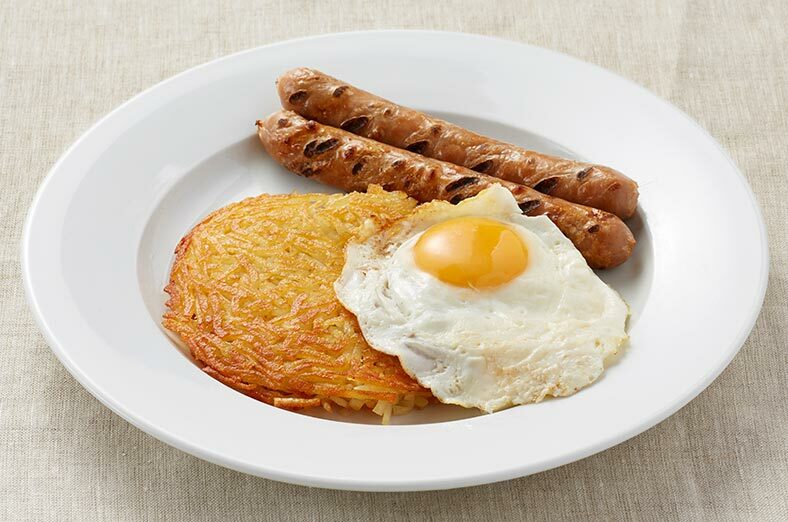 Hash brown with an egg and grilled sausages. 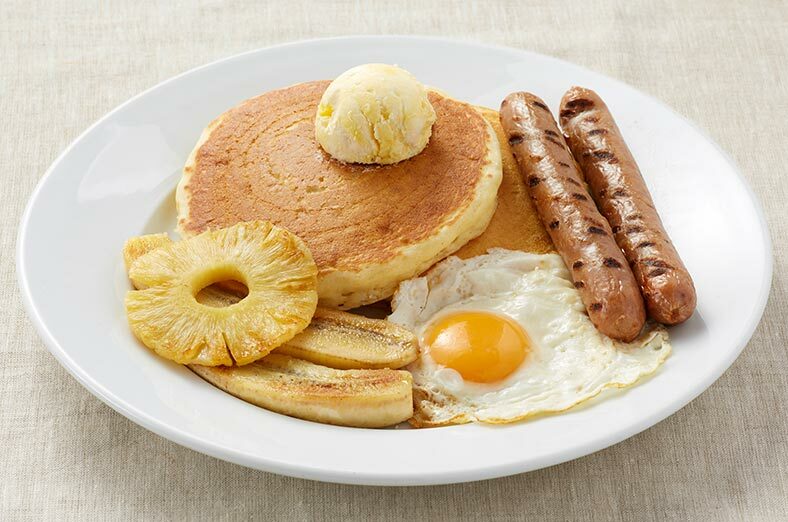 Two buttermilk pancakes with whipped butter, sausages, an egg and grilled banana and pineapple. 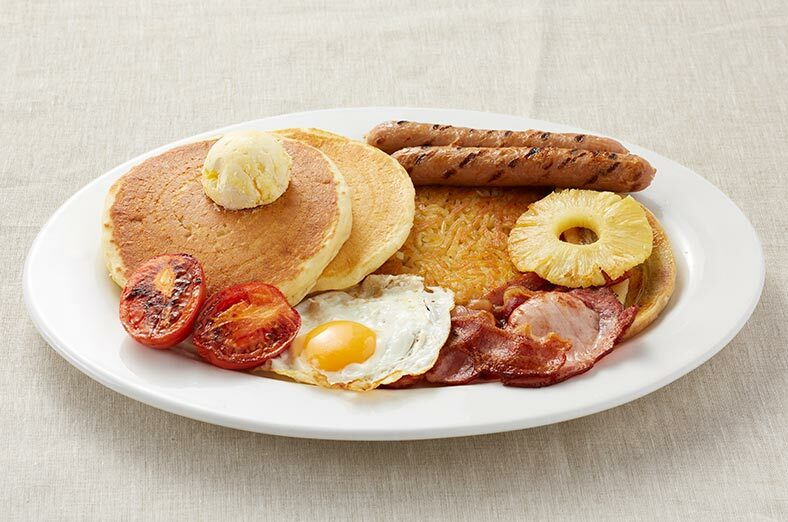 Two buttermilk pancakes with whipped butter, hash brown, bacon, sausages, an egg, grilled tomato, grilled banana and pineapple. 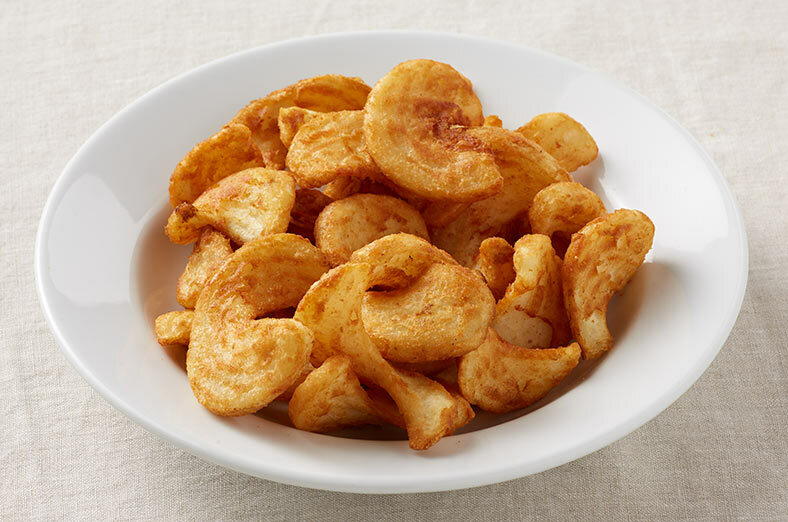 *LG – Low Gluten options contain No Gluten in the ingredients but are prepared in an open kitchen and may come into contact with gluten. 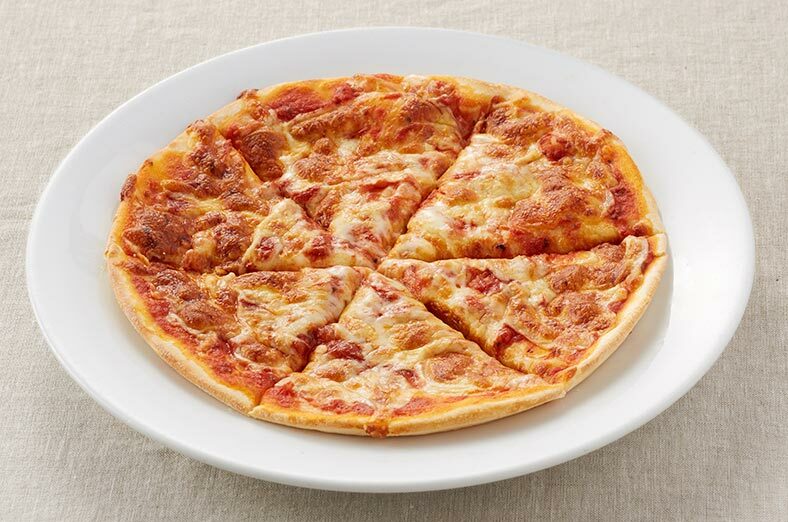 Made with the freshest of ingredients. 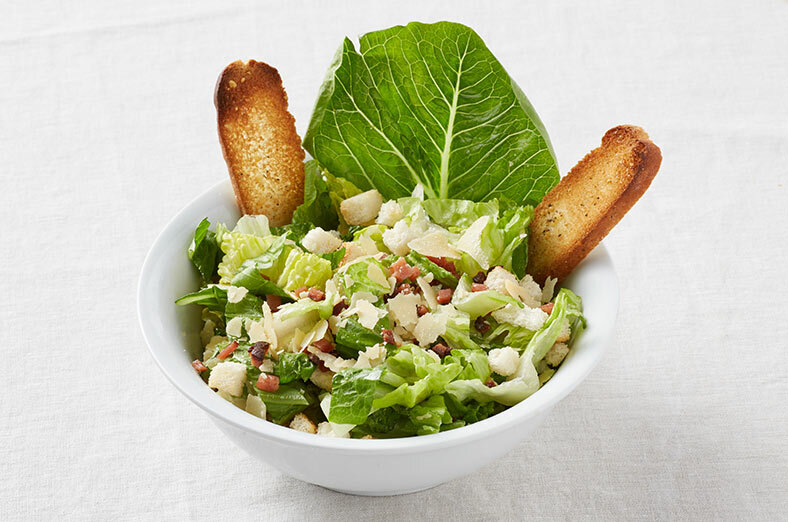 A mix of cos lettuce, bacon bits, shaved Parmesan cheese, croutons and our very own homemade Caesar dressing. 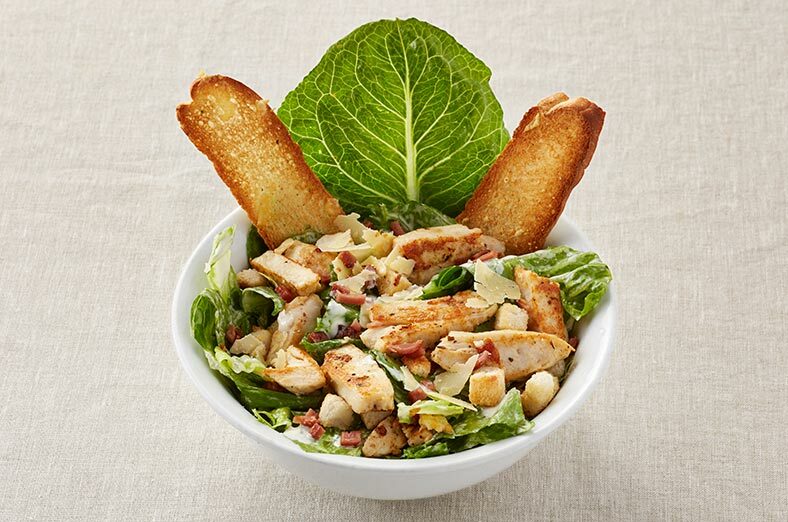 A mix of cos lettuce, bacon bits, shaved Parmesan cheese, croutons and our very own homemade Caesar dressing topped with grilled, seasoned chicken breast fillet. 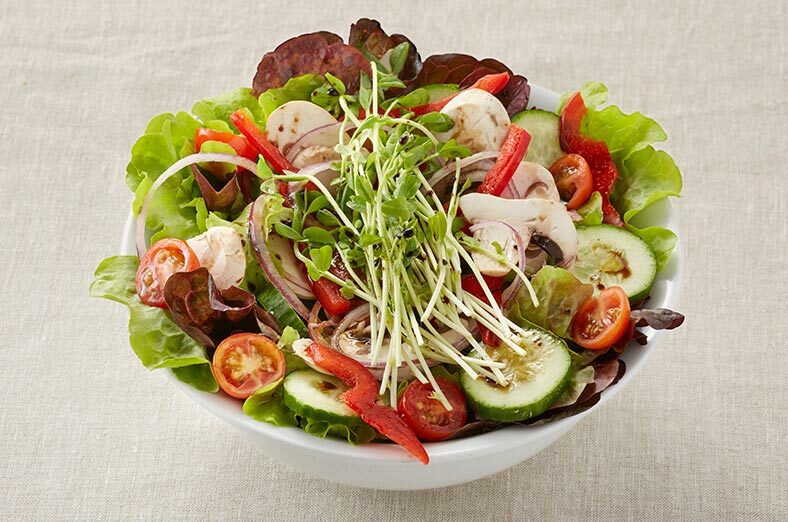 Red and green oak lettuce with button mushrooms, cherry tomatoes, cucumber, capsicum, Spanish onions and snow pea sprouts dressed with a dash of balsamic vinaigrette. 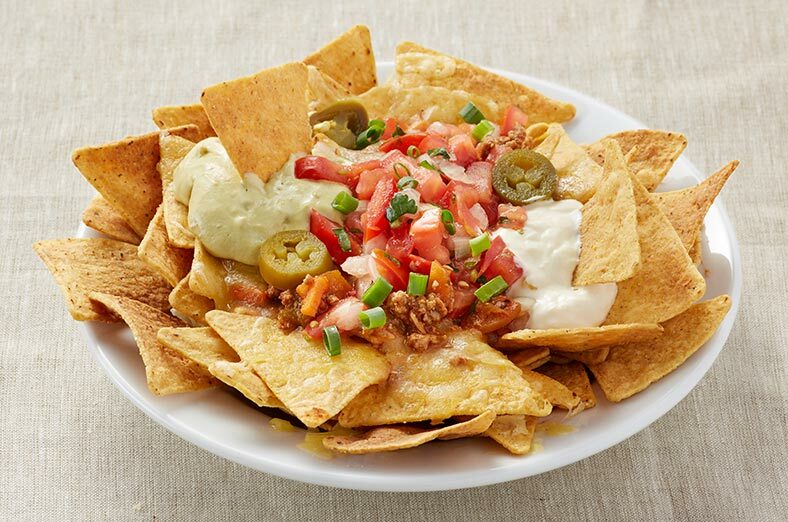 Crunchy corn chips smothered in spicy Mexican beef sauce, refried beans, jalopeno peppers and a generous melt of tasty cheese. Topped with sour cream, guacamole, spicy tomato salsa and shallots. Crumbed and deep fried, served with tartare sauce and a wedge of lemon. Seasoned & cooked until golden brown. 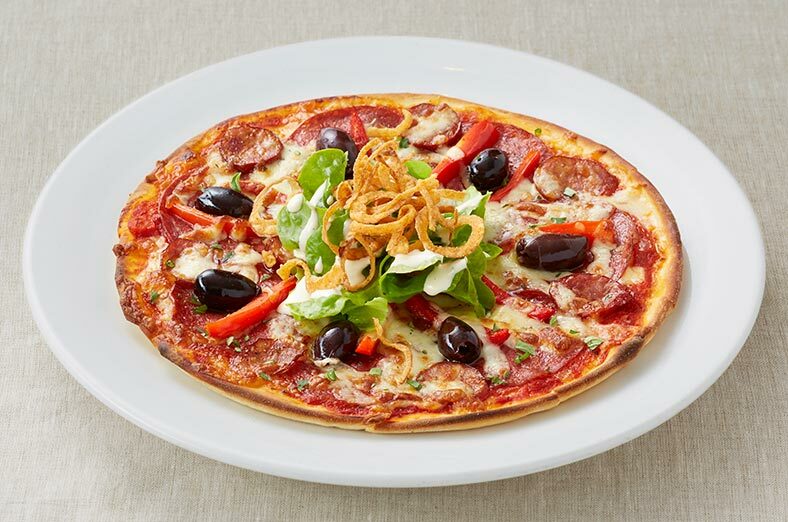 Slices of mild Italian salami and Italian sausage with red capsicum, black olives on a tomato and mozzarella base. 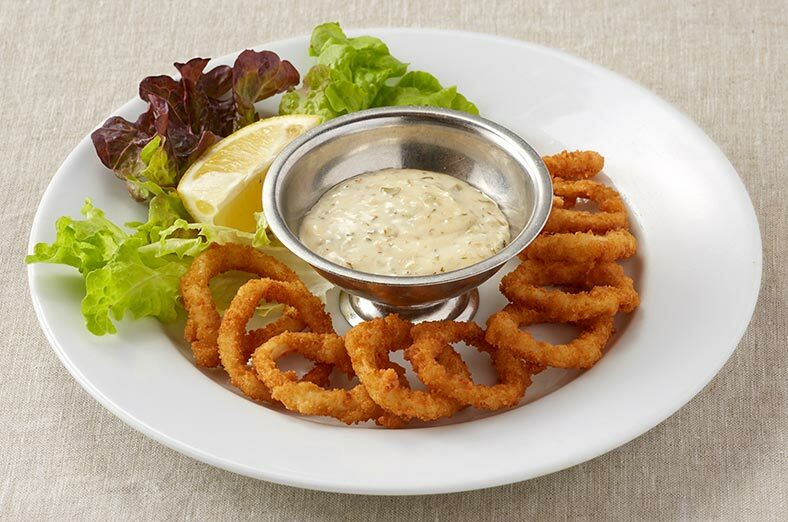 Topped with fresh oregano, mixed lettuce, onion rings and a dash of Caesar dressing. 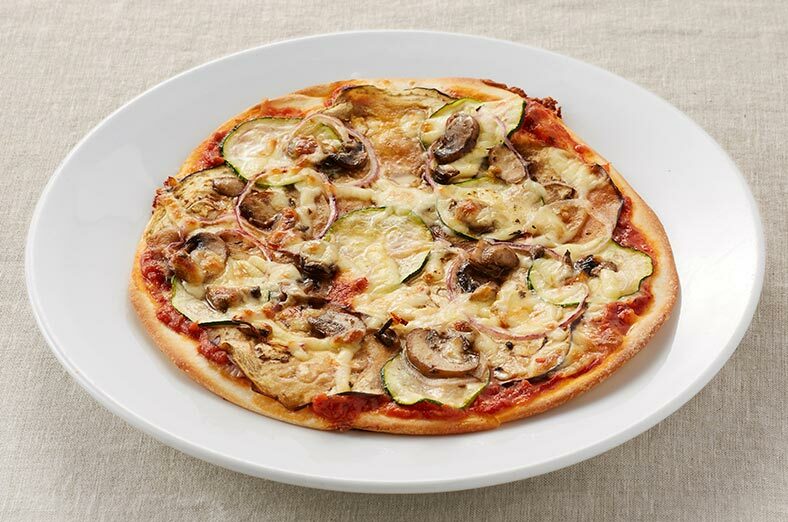 Sliced eggplant with, zucchini, Spanish onion, marinated mushrooms and mozzarella cheese. 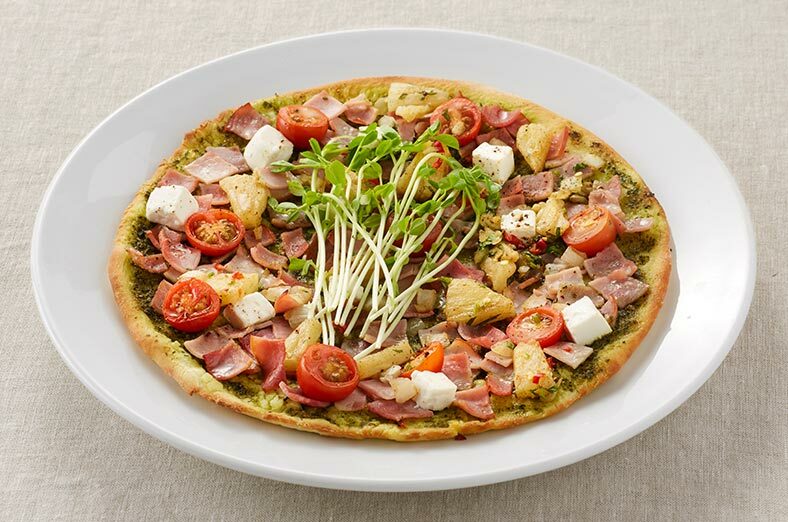 Ham, fetta cheese, cherry tomatoes and spicy pineapple salsa on a basil pesto base, topped with snow pea sprouts. Tender pieces of chicken breast marinated tandoori style. 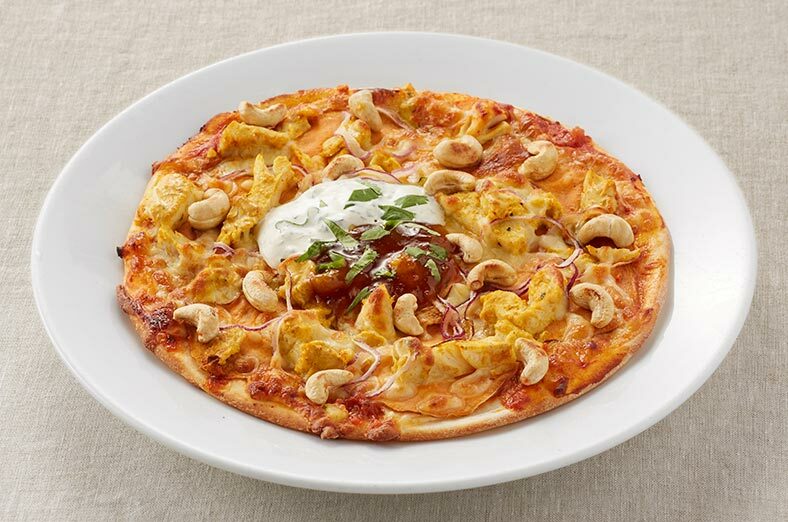 With Spanish onions, sweet potato, cashew nuts and mozzarella cheese, topped with mango chutney, minted yoghurt and coriander. 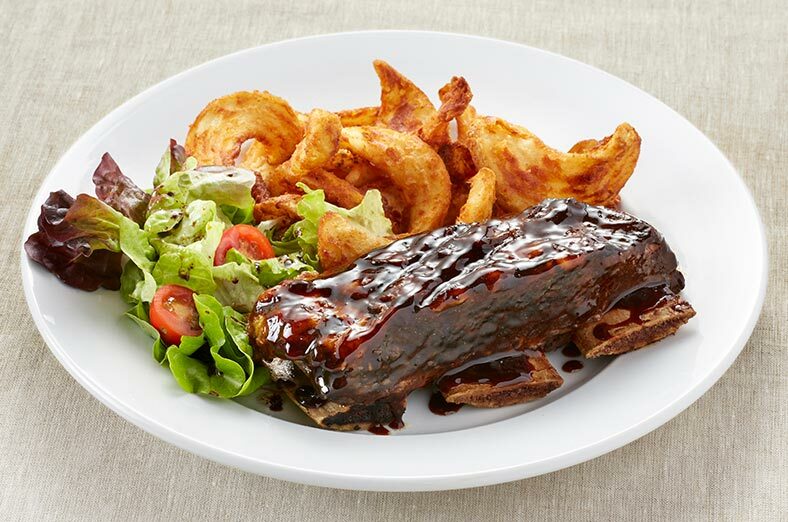 A generous rack of pork ribs grilled in your choice of marinade: barbeque, teriyaki or honey soya. Served with golden sidewinder wedges and mixed lettuce. 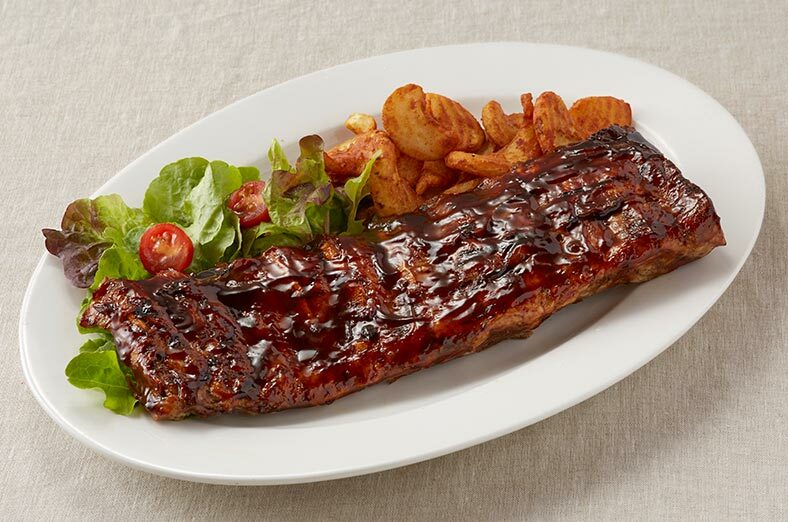 Tender and juicy marinated and grilled in tangy barbeque sauce. Served with golden sidewinder wedges and mixed lettuce. Tender, 100 day Grain Fed MSA, slow cooked American Style Barbeque Beef Brisket. 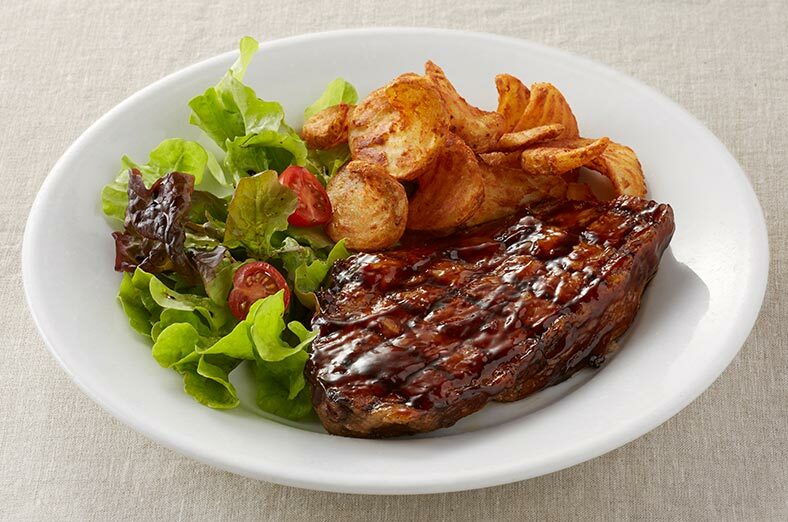 Marinated and grilled in tangy barbecue sauce, served with golden sidewinder wedges and mixed lettuce. 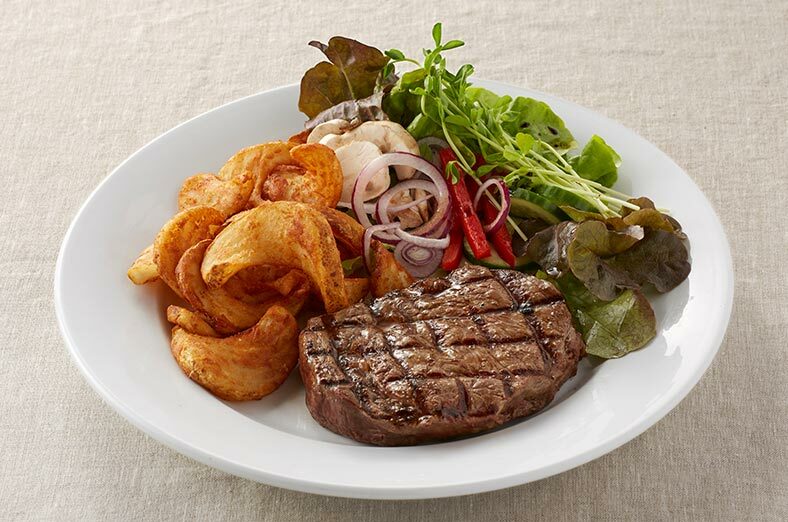 300g Ribeye steak chargrilled to your liking. Served with golden sidewinder wedges, and salad. 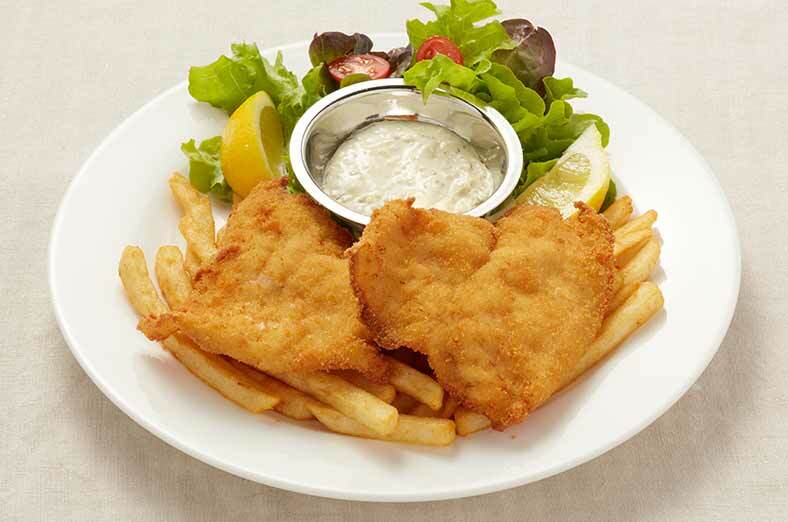 Crumbed fillets of flathead served with chips, tartare sauce and mixed lettuce. 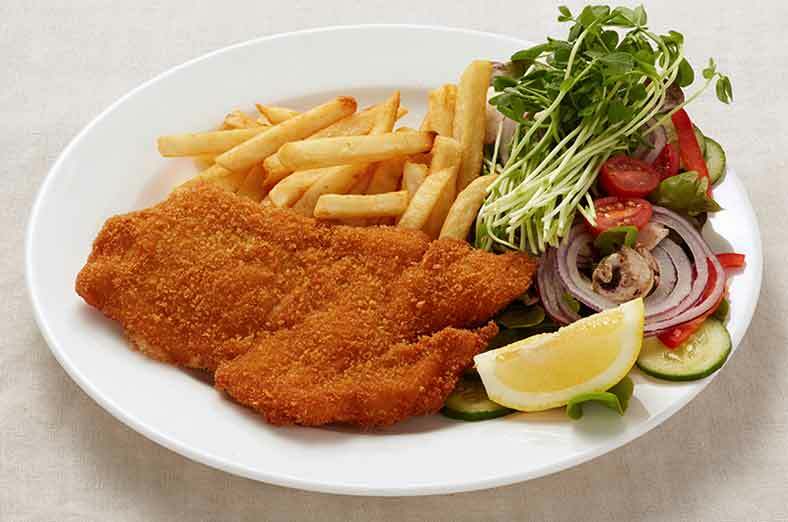 Tender chicken breast crumbed and cooked till golden served with chips and salad. 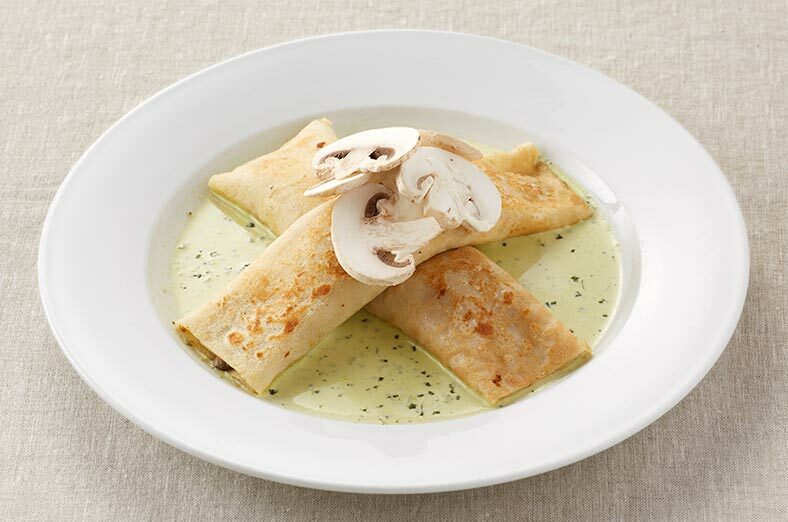 Fillets of fish, prawns, scallops, mushrooms, and spring onions in a creamy white wine sauce. 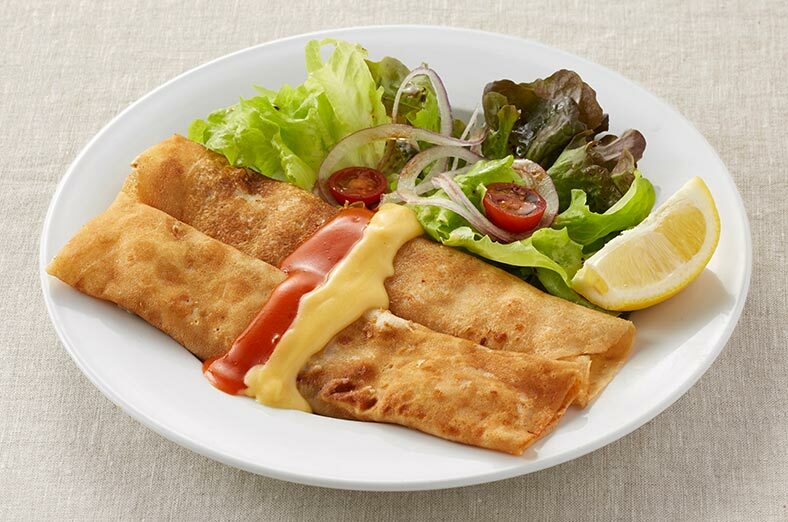 Served with a lemon wedge, hollandaise sauce and seafood sauce. 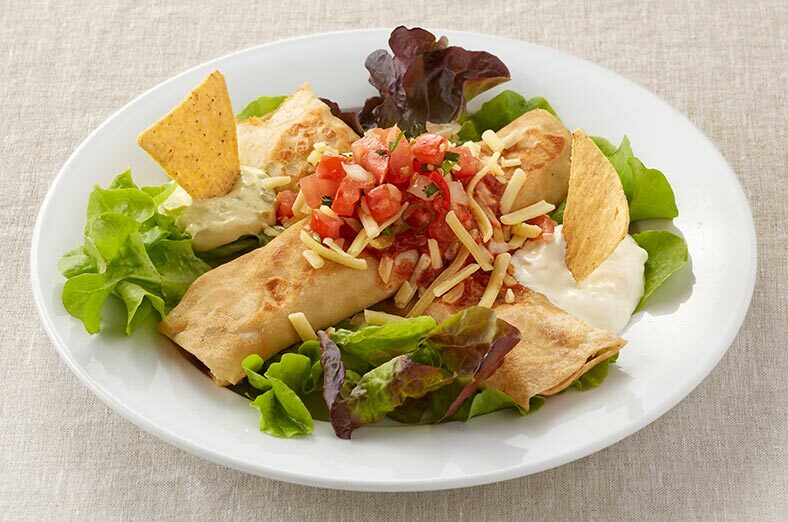 Spicy Mexican beef sauce, spicy tomato salsa, special tomato sauce, tasty cheese, guacamole, sour cream and shallots, served on a bed of mixed lettuce…one of our best sellers! 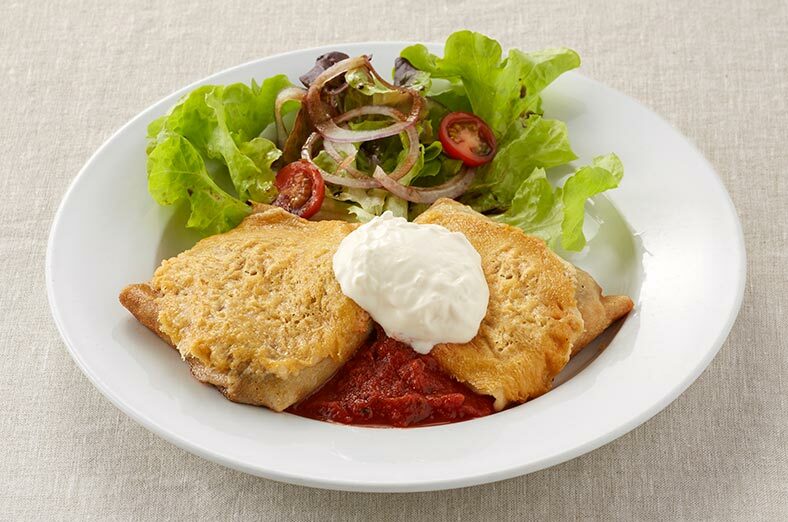 Creamy chicken, mushroom and onion folded into two crepe pockets, topped with a crunchy coating of Parmesan cheese and served with our special tomato sauce and sour cream. Thai style chicken breast pieces in spicy satay sauce with carrots and coriander. 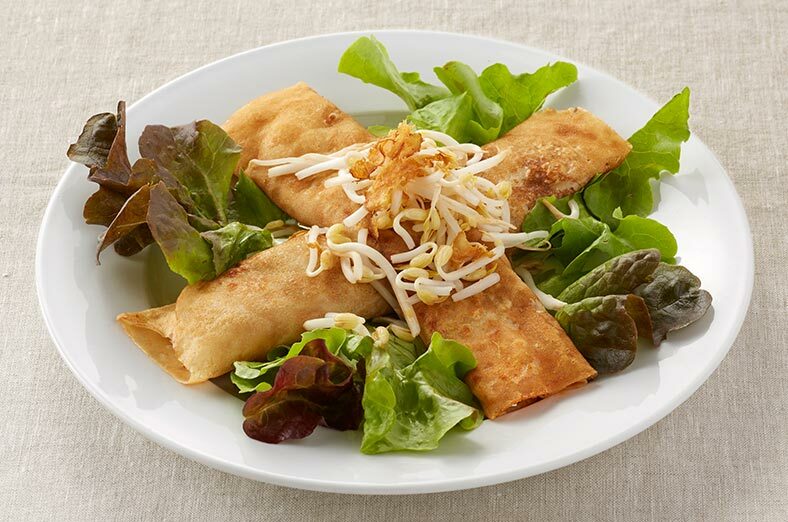 Served on a bed of mixed lettuce and topped with fresh bean shoots and crispy ginger. Sliced button mushrooms and onions in creamy white wine sauce, served on basil cream sauce and topped with sour cream. Ground beef sautéed in a red wine and tomato sauce with mushrooms, onion and a delicious blend of herbs served with our special tomato sauce. 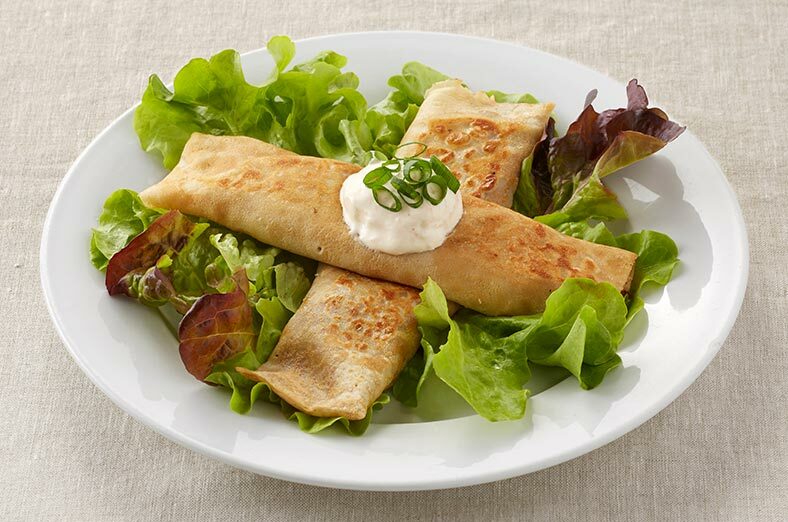 Topped with sour cream and chives. Chicken with ham and cheese, served on a bed of mixed lettuce and topped with our chilli sour cream and shallots. 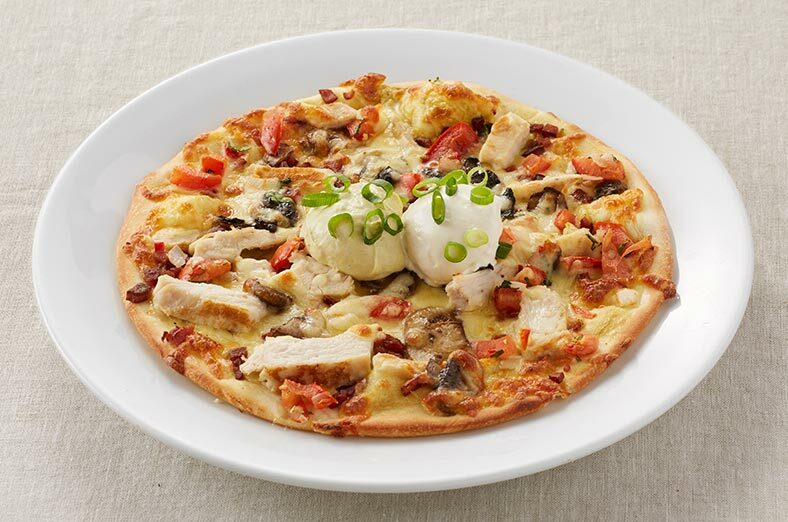 Potato, bacon, egg and onion topped with a creamy cheese sauce and shallots. 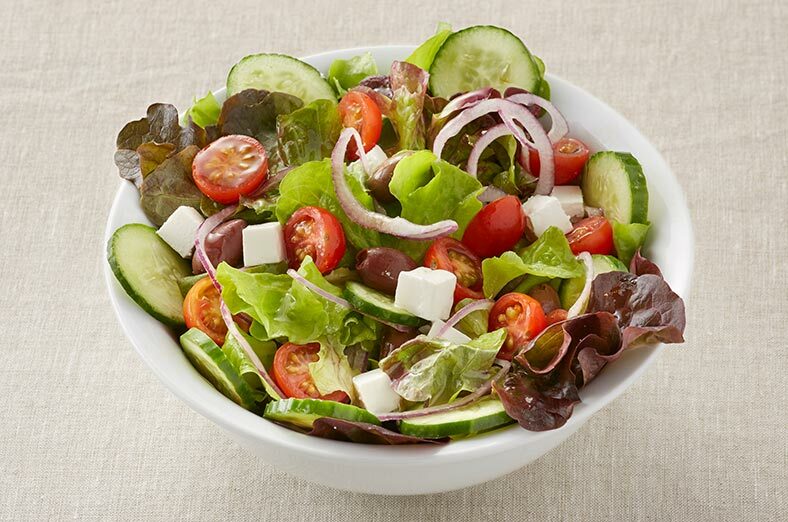 Served with mixed lettuce. 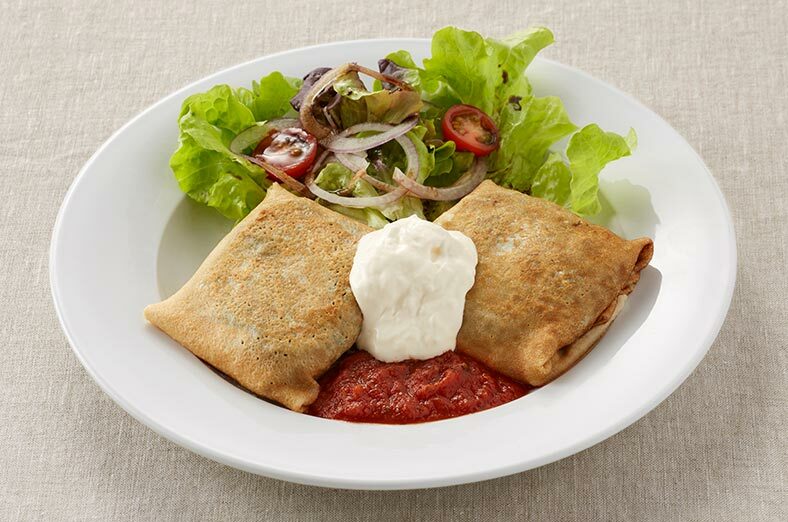 Spinach, fetta cheese and onion filled crepe pockets topped with special tomato sauce and sour cream. Served with mixed lettuce. 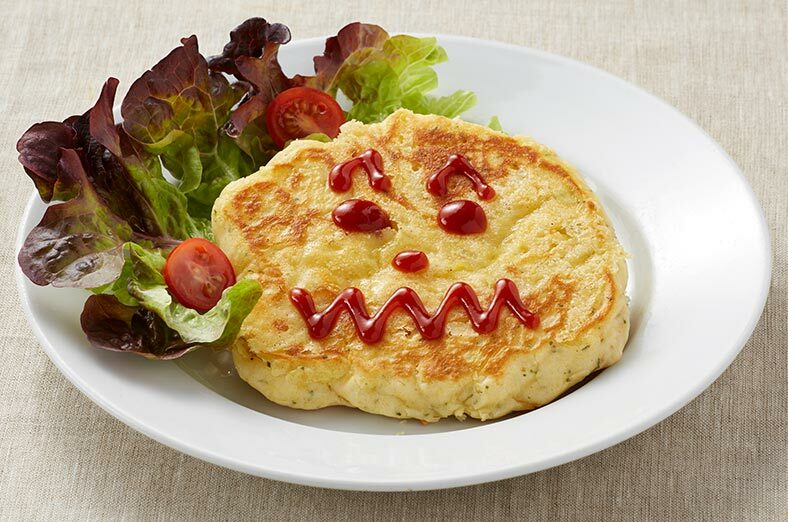 Potato and onion pancakes topped with a tasty cheese melt. 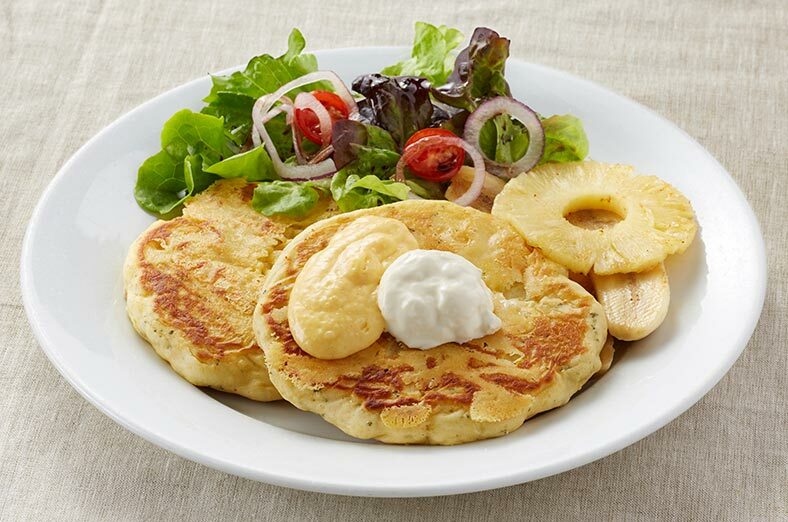 Served with grilled banana and pineapple, topped with our hollandaise sauce and sour cream. 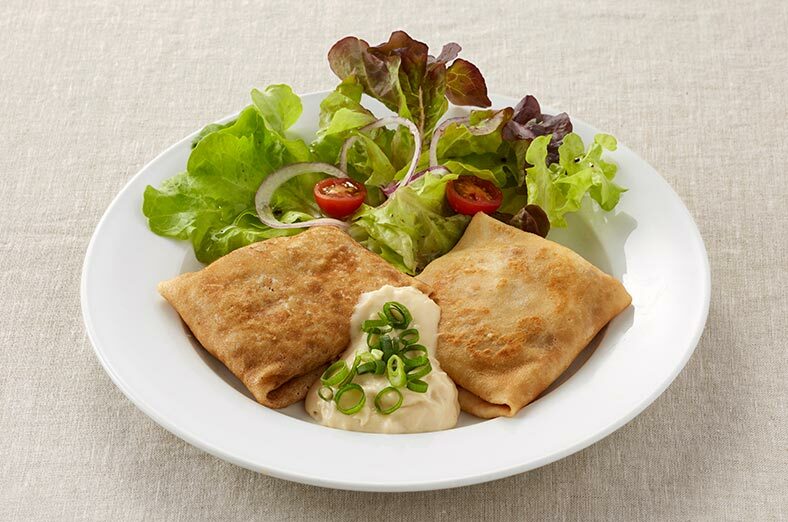 Potato and onion pancakes topped with a tasty cheese melt. 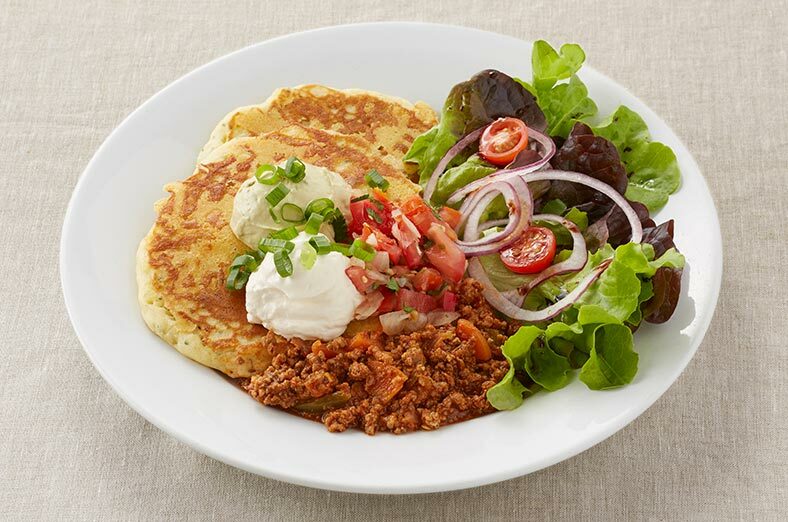 Served with spicy Mexican beef sauce, sour cream, guacamole and spicy tomato salsa. Our homemade smooth peanut butter filling sandwiched between two chocolate pancakes. 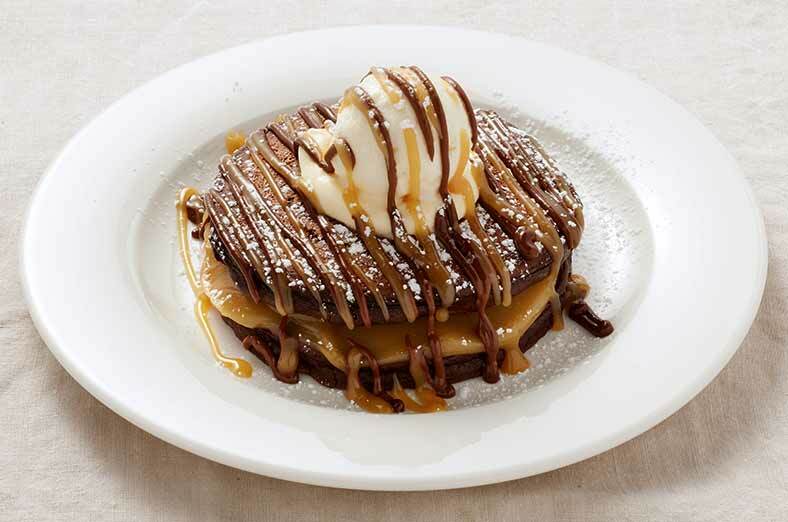 Topped with vanilla ice cream, cream then drizzled with smooth peanut butter sauce and chocolate sauce. 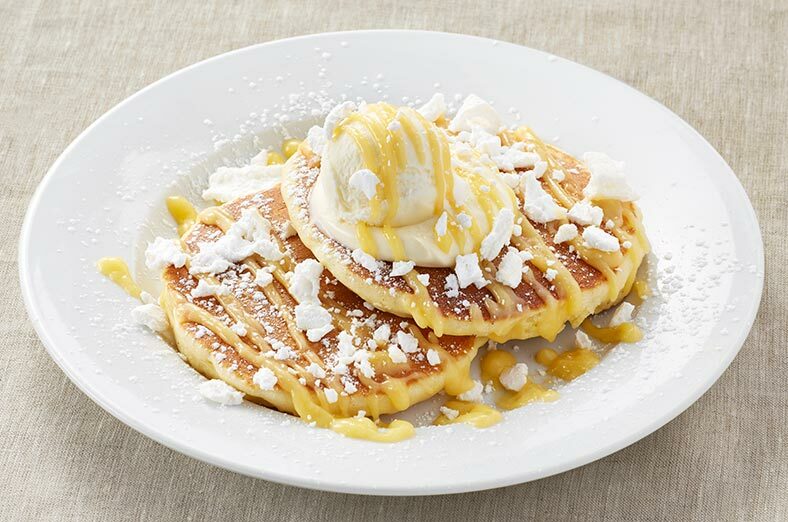 Buttermilk pancakes served with homemade lemon curd, topped with cream, vanilla ice cream and meringue. 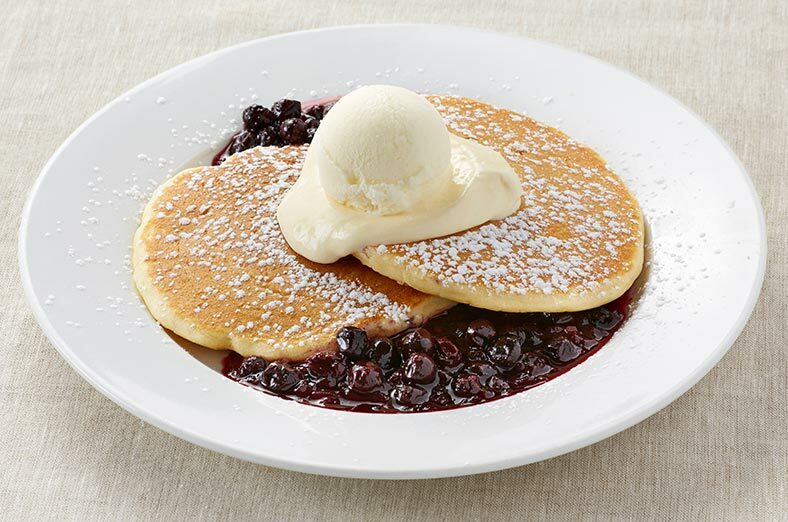 Buttermilk pancakes with blueberries in sauce served with cream and vanilla ice cream. A traditional favourite. 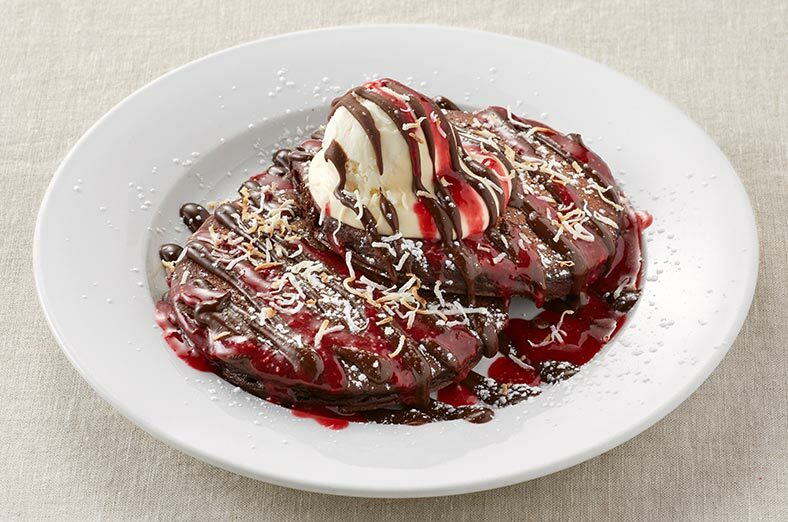 Chocolate pancakes with coconut, cream, vanilla ice cream topped with our chocolate sauce and raspberry coulis…a perfect match. 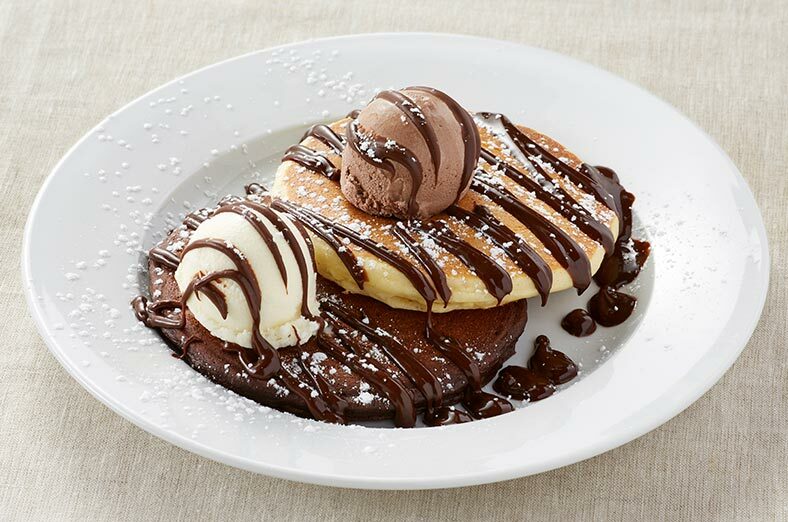 One of each, a buttermilk and a chocolate pancake, with vanilla and chocolate ice creams, drizzled with chocolate sauce. 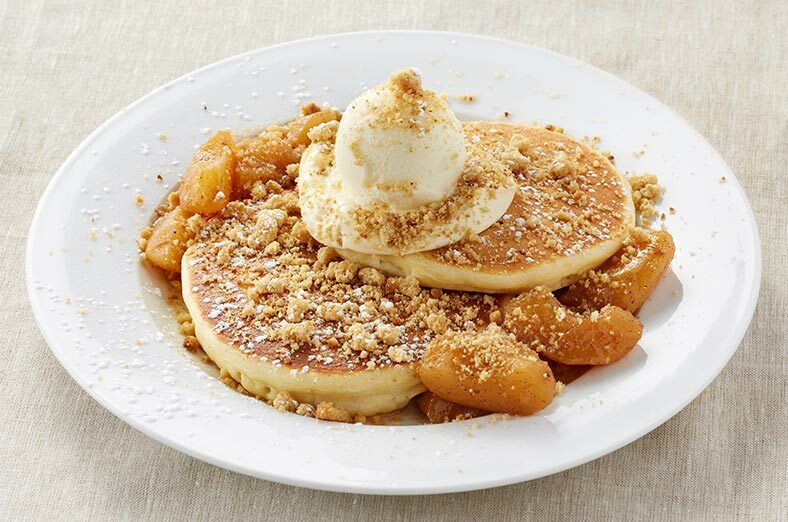 Buttermilk pancakes served with marinated apples, topped with cream, vanilla ice cream, and homemade crumble. 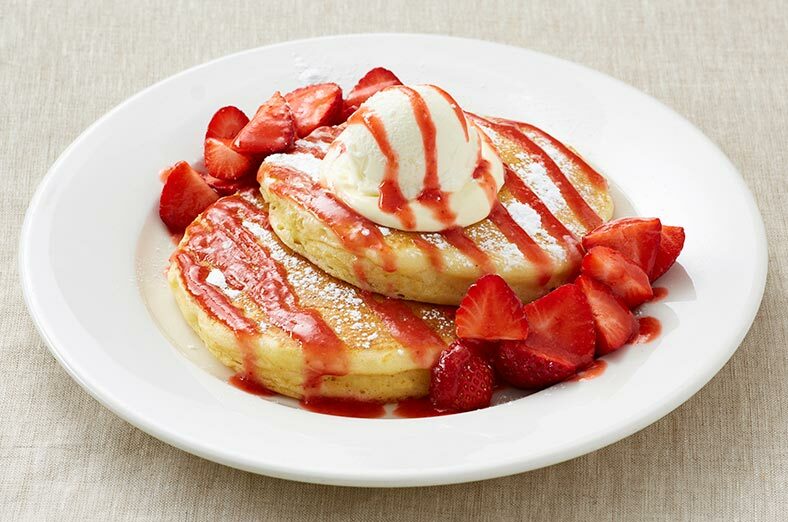 Buttermilk pancakes with fresh strawberries, cream, vanilla ice cream and strawberry sauce. 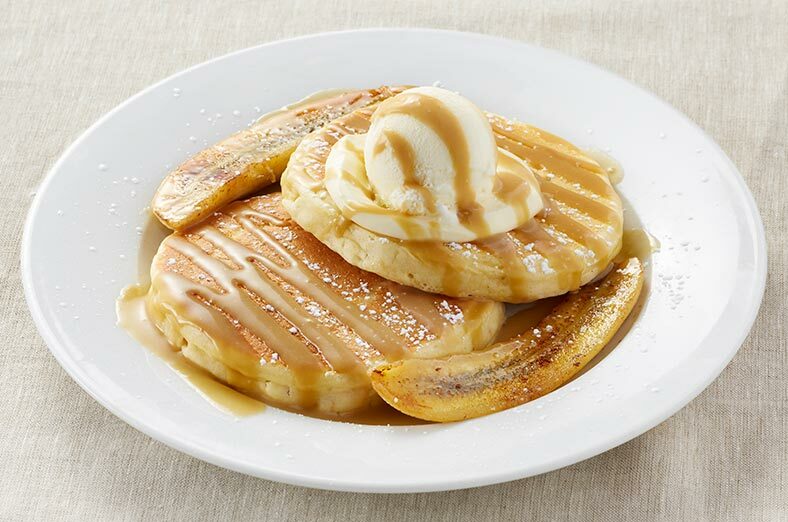 Buttermilk pancakes with grilled banana and homemade butterscotch sauce, topped with cream and vanilla ice cream. 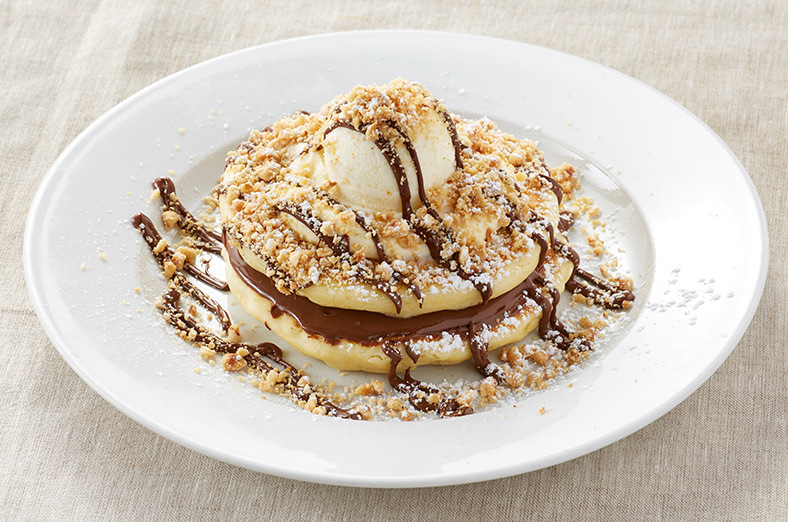 Buttermilk pancakes with Nutella, topped with cream, vanilla ice cream, and roasted hazelnuts. 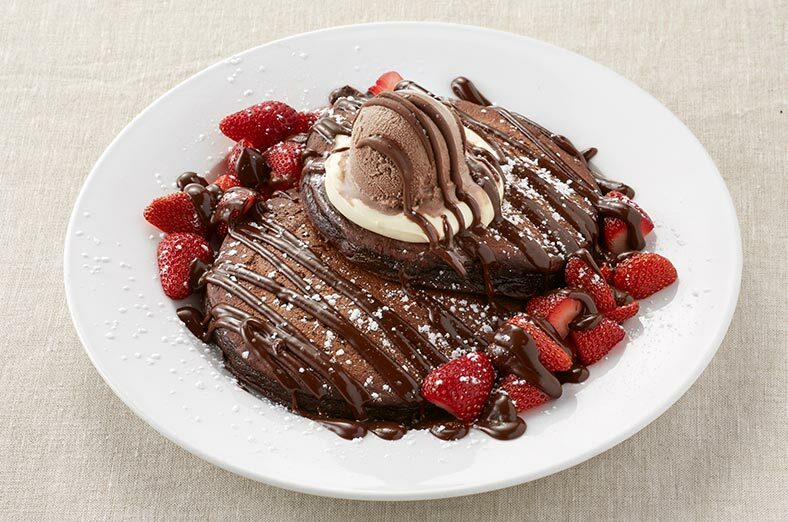 To die for…our chocolate pancakes with strawberries, cream, chocolate ice cream and drizzled with chocolate sauce. 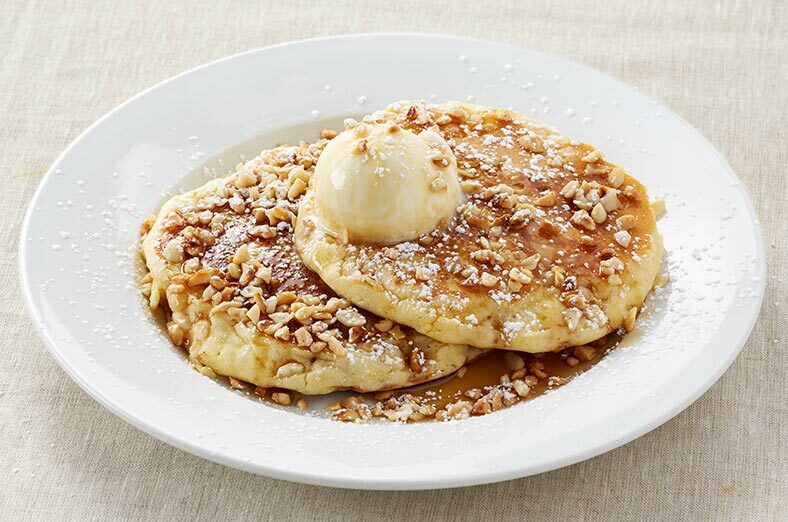 Macadamia pancakes topped with vanilla ice cream and roasted macadamia nuts. 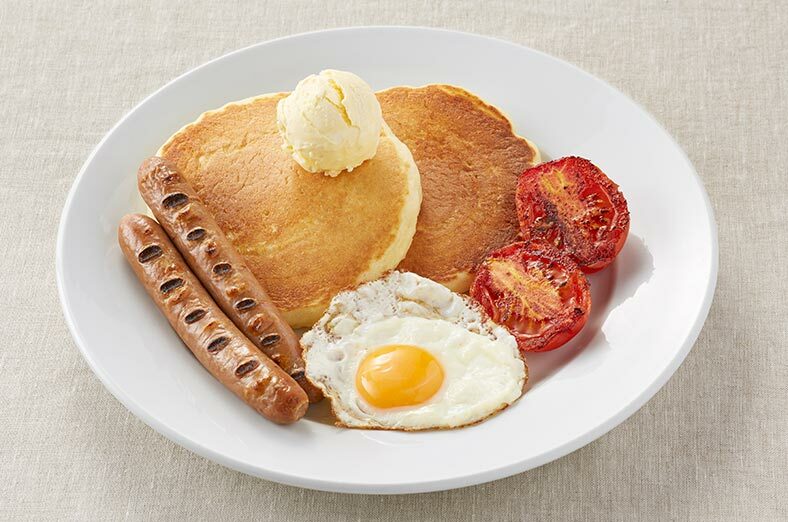 Served with maple syrup. 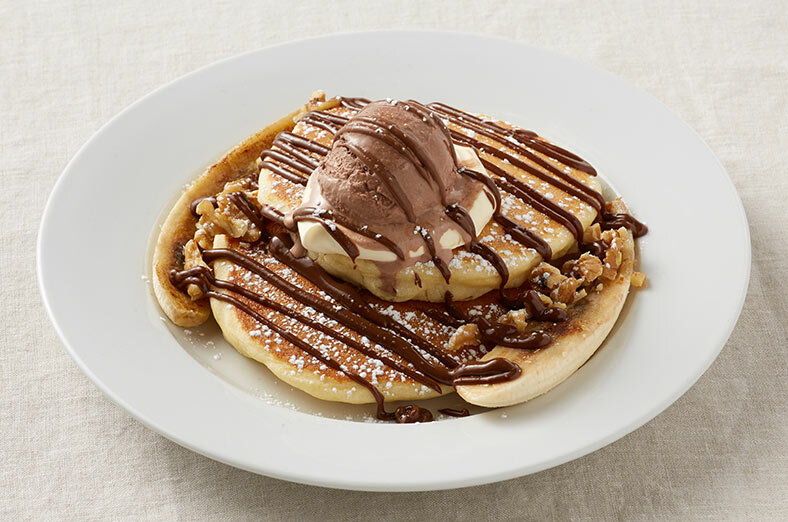 Buttermilk pancakes with grilled banana, walnuts, cream, chocolate ice cream and our homemade chocolate sauce. 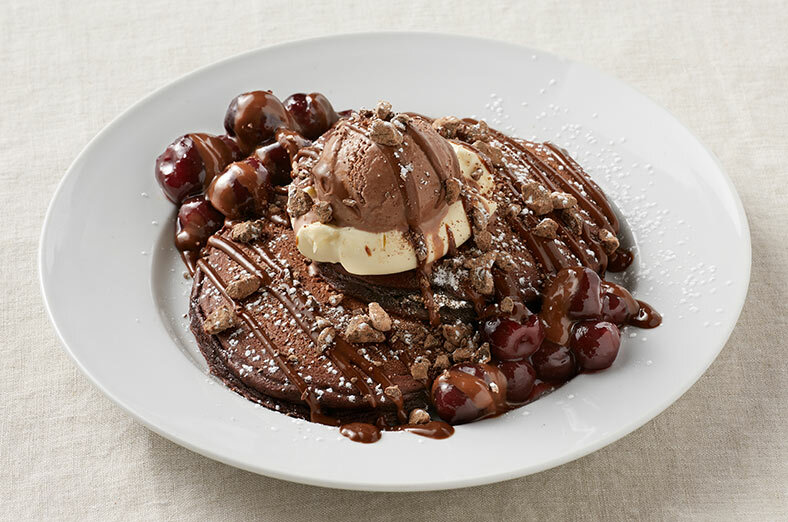 Chocolate pancakes with cherries in cherry brandy sauce. Finished with cream, chocolate ice cream and a sprinkling of chocolate chips. Drizzled with chocolate sauce. 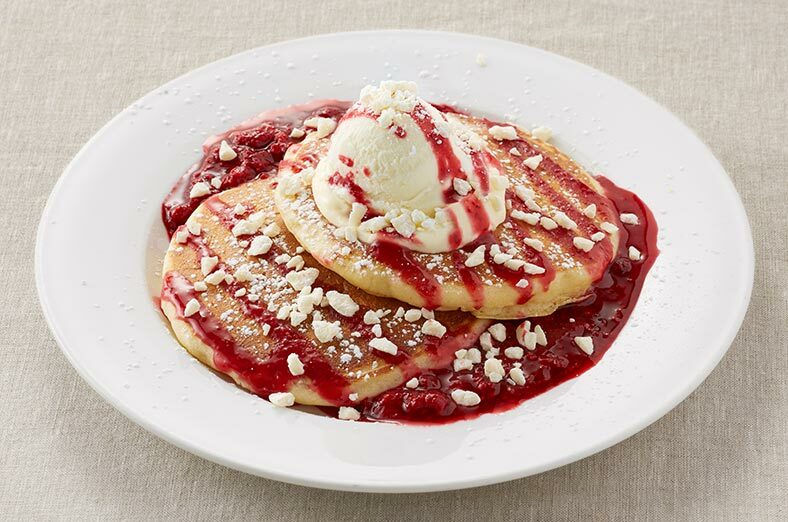 Buttermilk pancakes served with homemade raspberry compote, topped with cream, vanilla ice cream, raspberry and white chocolate chips. 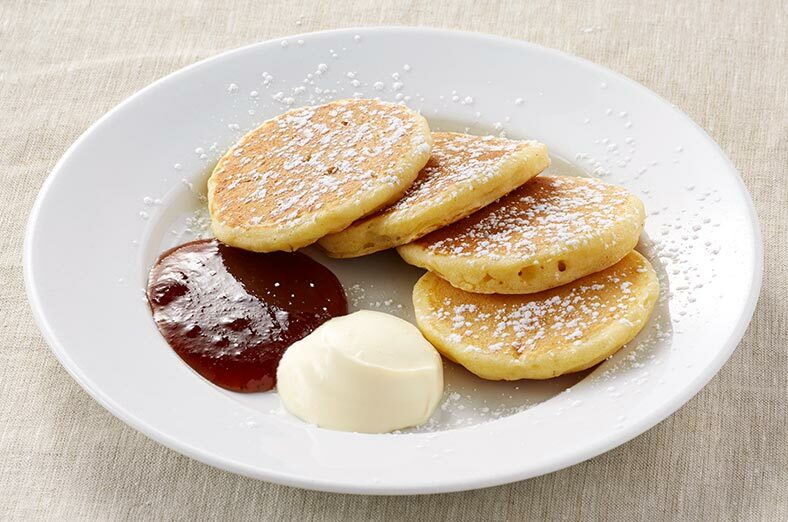 Four mini buttermilk pancakes with strawberry jam and cream. 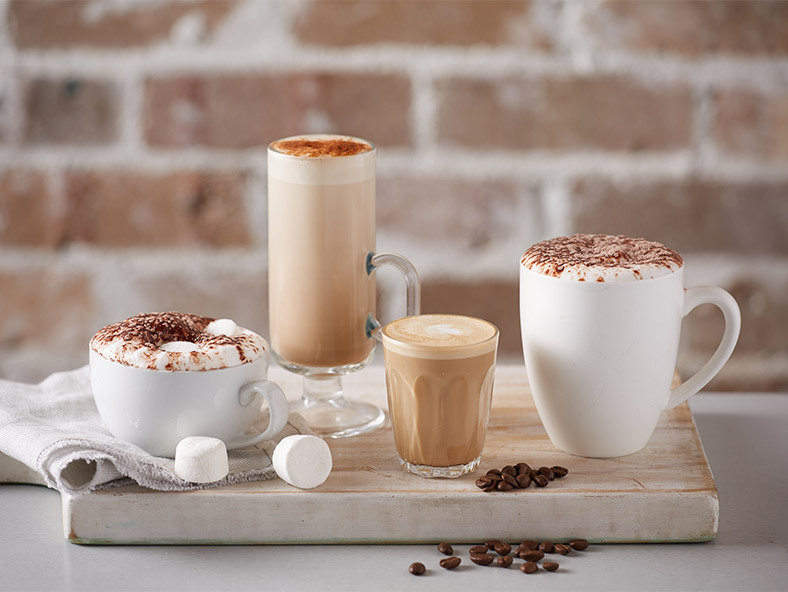 With your choice of whipped butter or cream or ice cream. 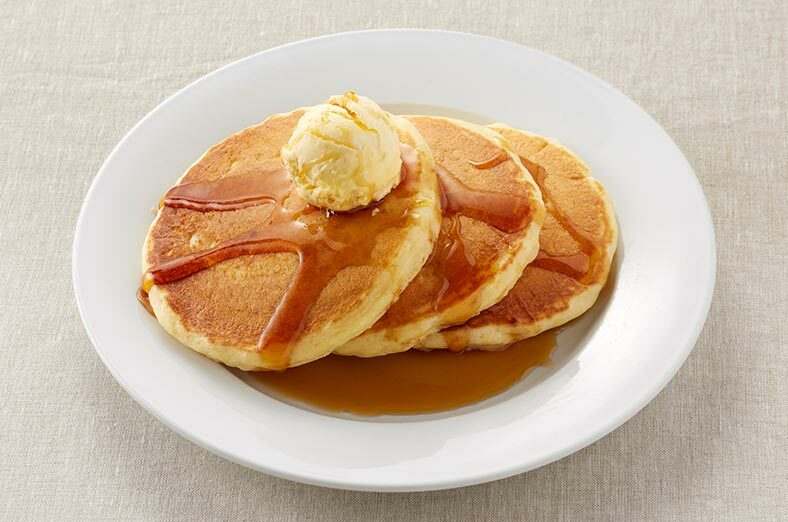 All stacks are served with Maple syrup. 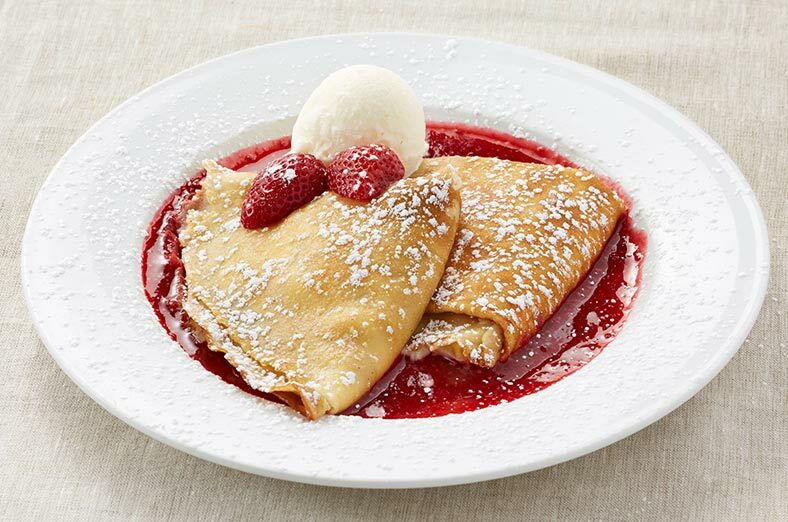 Crepes filled with cream cheese and sultanas, served with raspberry coulis and vanilla ice cream. 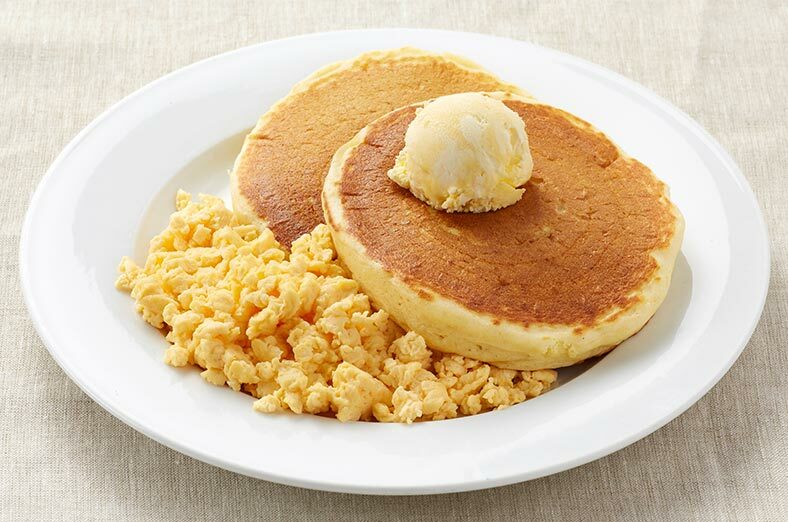 Two buttermilk pancakes layered with our rich cinnamon sauce with cream and vanilla ice cream. 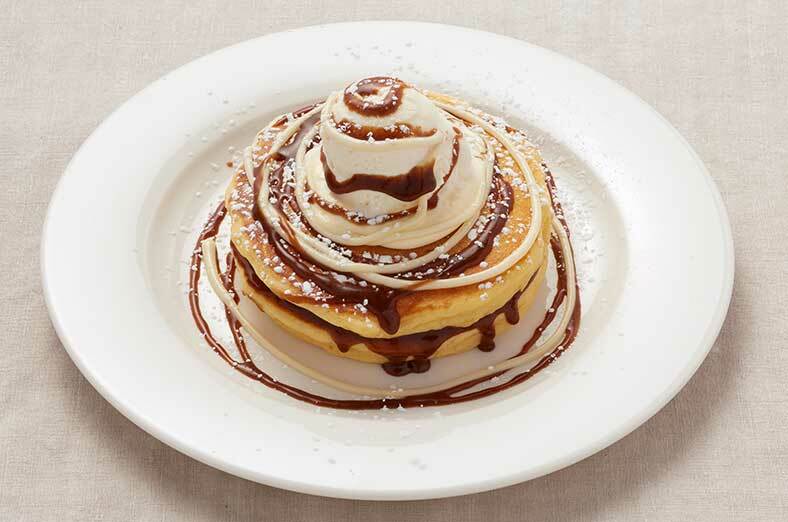 Topped with a swirl of our rich cinnamon sauce and our sweet cream cheese frosting. 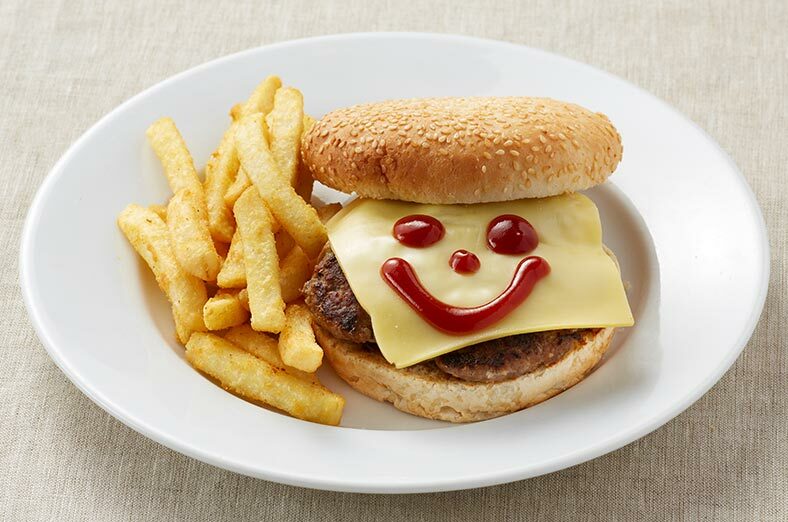 Beef burger with cheese, served with chips and tomato sauce. 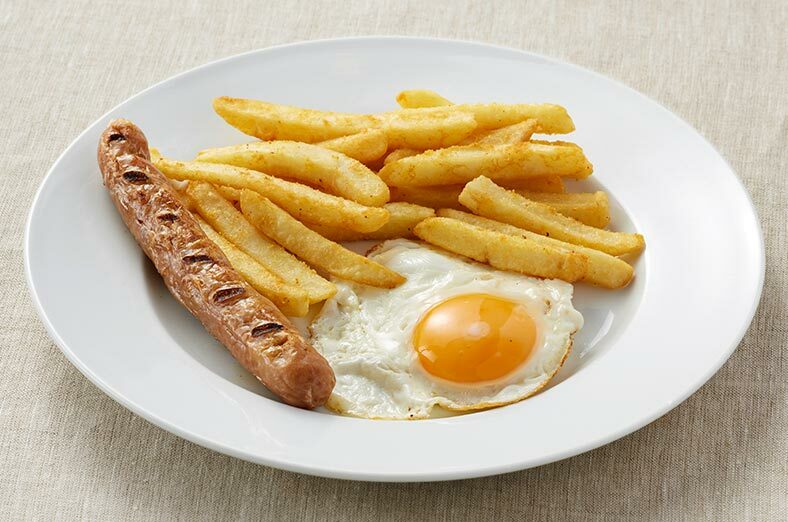 A sausage, fried egg and chips with tomato sauce. 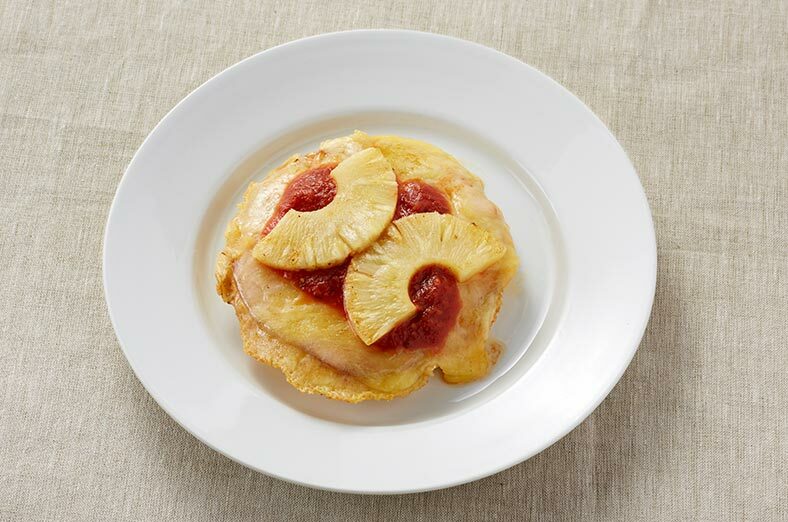 A buttermilk pancake topped with ham, cheese, grilled pineapple and special tomato sauce. 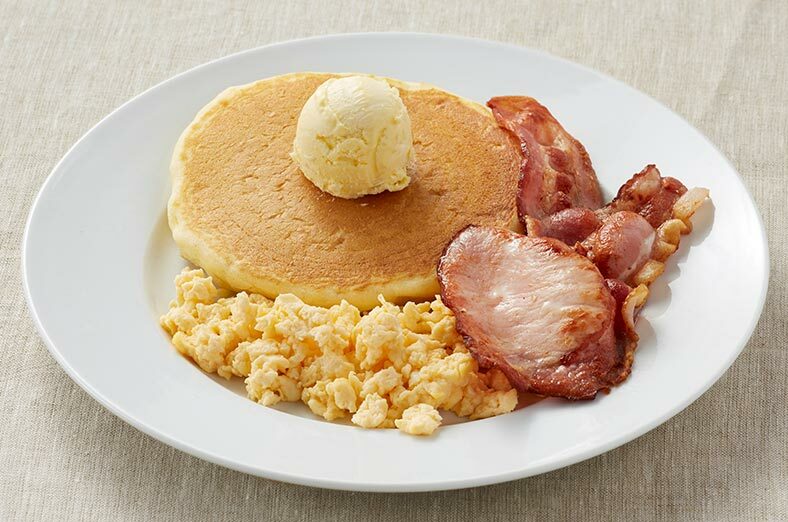 A buttermilk pancake with whipped butter, scrambled egg and bacon. 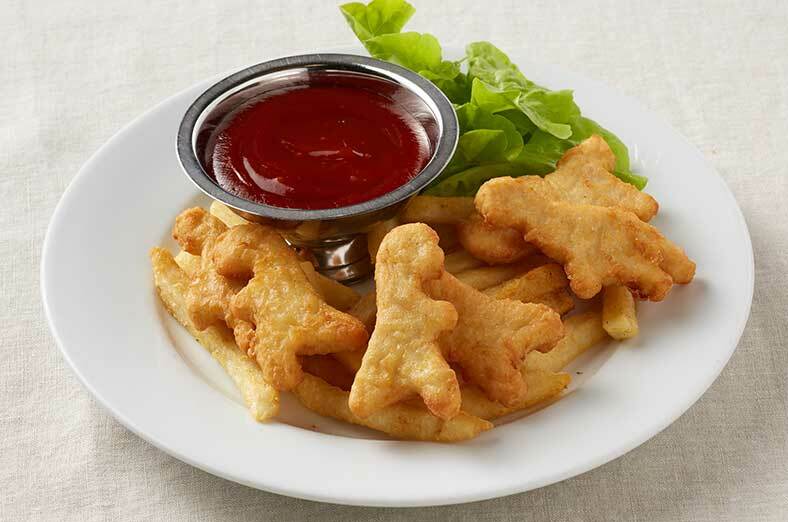 Dinosaur shaped chicken nuggets, cooked golden brown for some dino fun. Served with chips and tomato sauce. 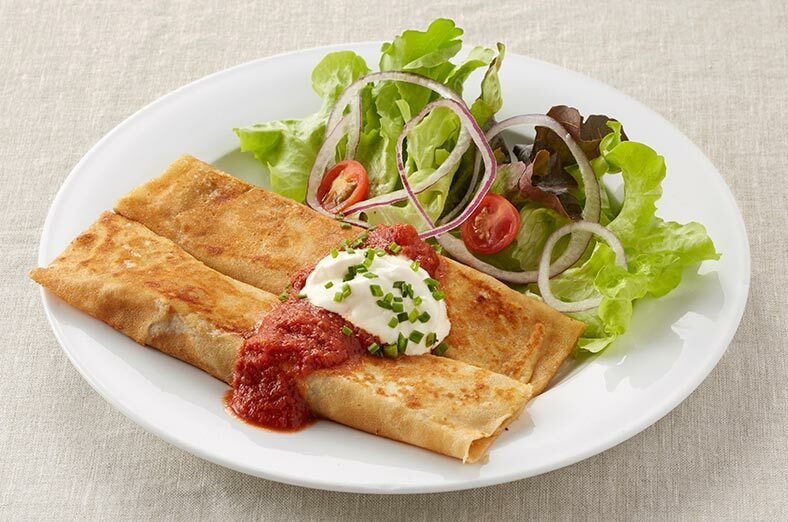 A potato and onion pancake topped with melted cheese and tomato sauce. 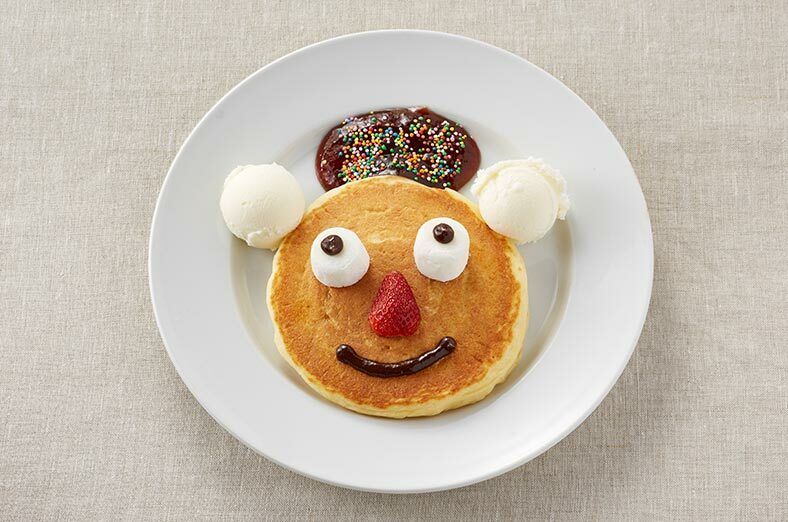 We put a funny face on a yummy pancake with marshmallows, fresh strawberry, chocolate sauce, vanilla ice cream, strawberry jam and 100’s & 1000’s! 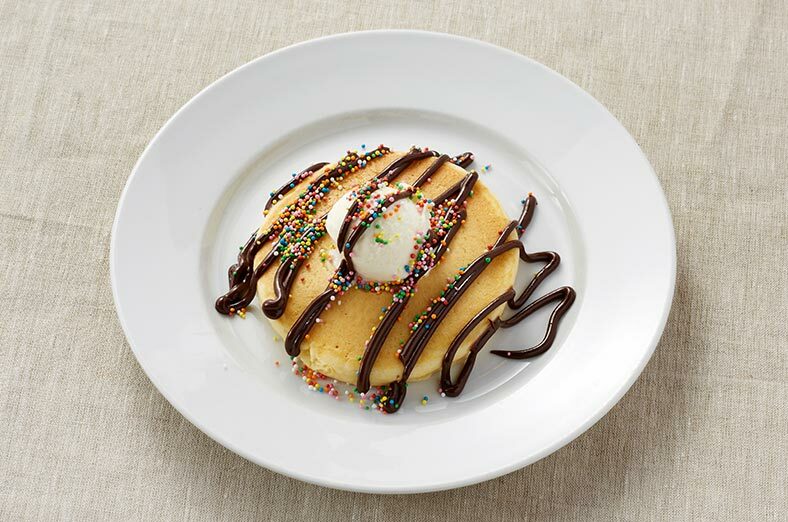 A buttermilk pancake topped with vanilla ice cream, chocolate sauce and millions of 100’s & 1000’s!! 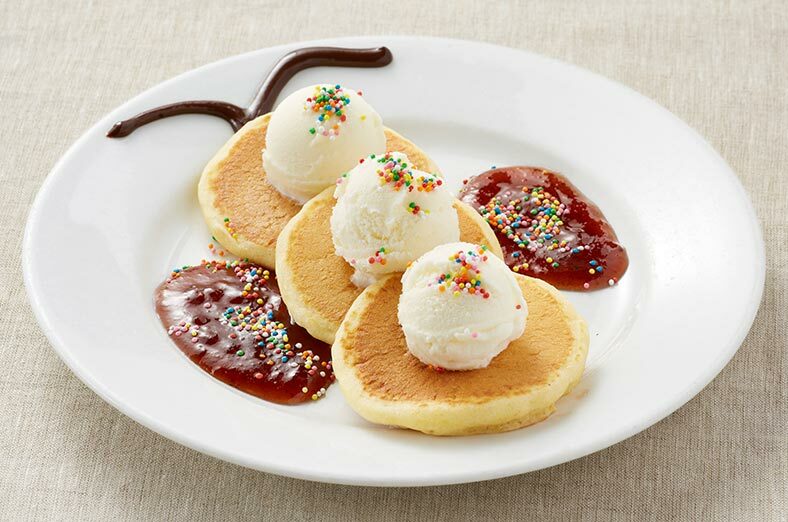 Three mini pancakes with strawberry jam, chocolate sauce, vanilla ice cream and 100’s & 1000’s. 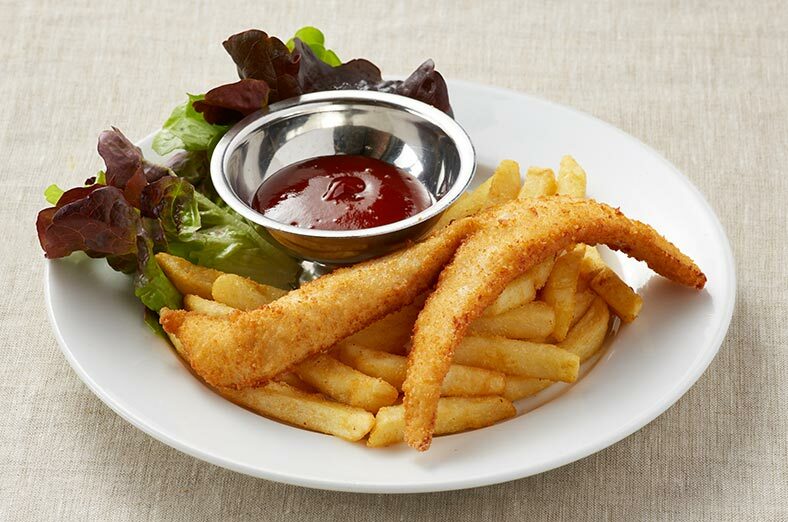 Crumbed fillet of flathead served with chips and tomato sauce. 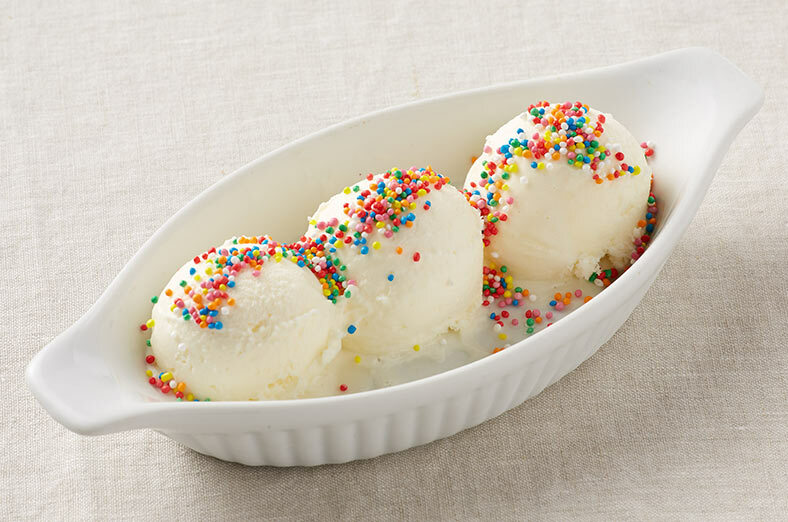 Three scoops of yummy vanilla, or chocolate, ice cream. 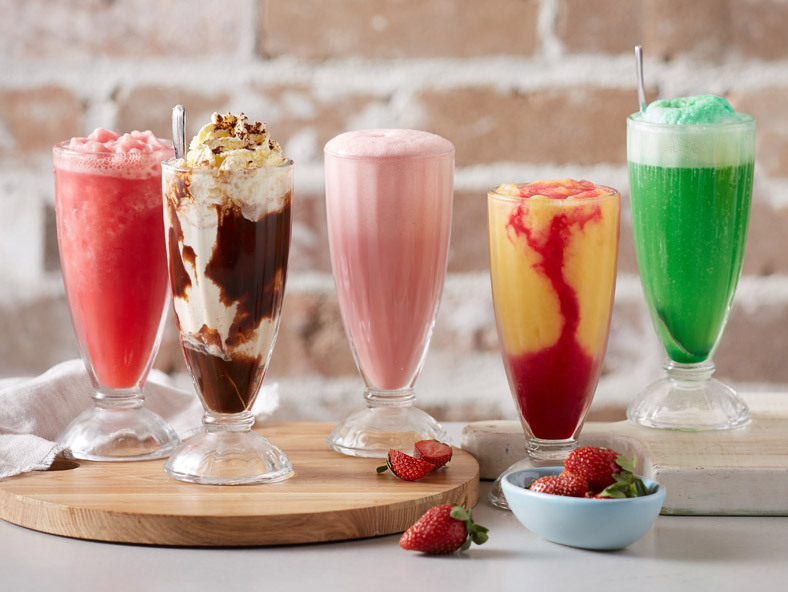 Plain, Chocolate, Strawberry, Caramel, Vanilla, Banana, Lime, Spearmint. Apple, Orange, Mango or Pineapple.